Und gleich eine weitere Karte. I have another card to share. Der Sketch ist von Sketch Saturday und sieht so aus. The sketch is from Sketch Saturday and looks like this. Such a cute card!!!! Thanks for joining us at Robyn's Fetish Challenge. Pretty image and great take on the sketch! So glad you could join us for our Birthday challenge at Charisma. Hope you will join us again soon. Great design. Thanks for joining our "5th Birthday" -celebrations at Charisma Cardz. What a darling card and a wonderful color palette! It makes me think of summer! Love your take on the sketch. 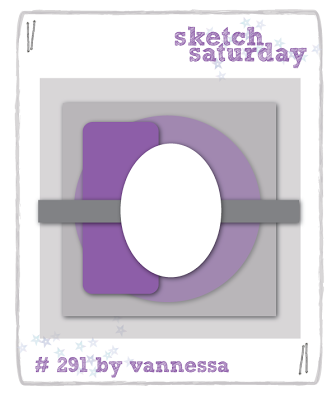 Thanks for playing along this week at Sketch Saturday. This is such a pretty card. Thanks for joining us at Robyn's Fetish Challenges.